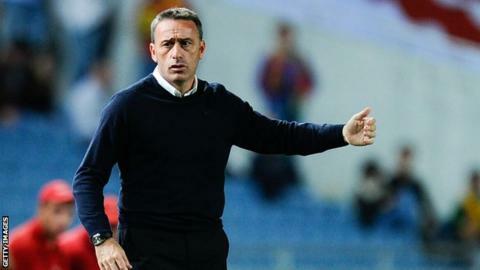 Paulo Bento will remain as Portugal coach until the end of Euro 2016 after agreeing a two-year extension to his contract. The 44-year-old Portuguese was appointed in 2010 and his original deal was to expire this July. Bento led Portugal to the semi-finals of Euro 2012, where they lost to eventual winners Spain, and also guided them to this summer's World Cup. "I am honoured to continue to serve my country as I have been doing," he said. Portugal will play Germany, the United States and Ghana in Group G at this summer's tournament in Brazil. Former defensive midfielder Bento earned 35 caps for Portugal during his playing career. He played for Portuguese sides Benfica and Sporting before retiring 2004. The following year he became manager of Sporting and led them to two Portuguese Cup titles, four consecutive second-place league finishes and the last 16 in the Champions League in 2009. However, he quit the club in November that year after Sporting failed to win a league game in two months.